Alfred J. 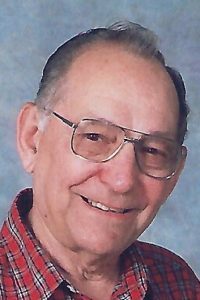 “Sparky” Degener, 93, of Sparta, IL; born on January 30, 1925 in Affton, MO; passed away on Wednesday, October 24, 2018 at the Randolph County Care Center in Sparta, IL. Mr. Degener was an engineer and retired from the Missouri Pacific Railroad. He was a member of the First United Methodist Church of Sparta. 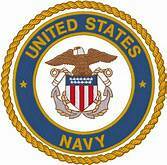 He was World War II Navy Veteran. Alfred was a member of the American Legion and the VFW. He was preceded in death by his wife Martha Ann, nee Burns, Degener whom he married on January 18, 1947 in Jennings, MO and who passed away on September 14 , 2005. His parents – Alfred and Tillie, nee Diechmann, Degener. One brother – Donald Degener. He is survived by his children – Dennis (Penny) Degener of Randle, WA; Tim (LaDonna) Degener of Rogers, AR; Debbie (Nathan Frye) Degener of Troutdale, OR. Seven grandchildren and three great-grandchildren. Memorials may be made to the First United Methodist Church of Sparta. Visitation: Friends may call at the First United Methodist Church in Sparta, IL on Friday, October 26, 2018 from 5:00pm to 8:00pm and on Saturday, October 27, 2018 from 9:00am to 10:00am. Funeral: Services will be held at the First United Methodist Church in Sparta, IL on Saturday, October 27, 2018 at 10:00am with Rev. Jerry Haley officiating. I’m sorry for your loss. It is so heartbreaking to lose someone you hold dear. Martha and Sparky were dear friends of my parents. They whirled around many dance floors together. Please accept my sincere sympathy for your loss. I am so sorry to read of your Dad’s passing. I imagine it is a bitter sweet time. Knowing he is in heaven with your Mom again! May your memories keep you warm with their love, till you meet them again in Heaven. I am so sorry for your loss, with deepest sympathy.Your family is our thoughts and prayers.